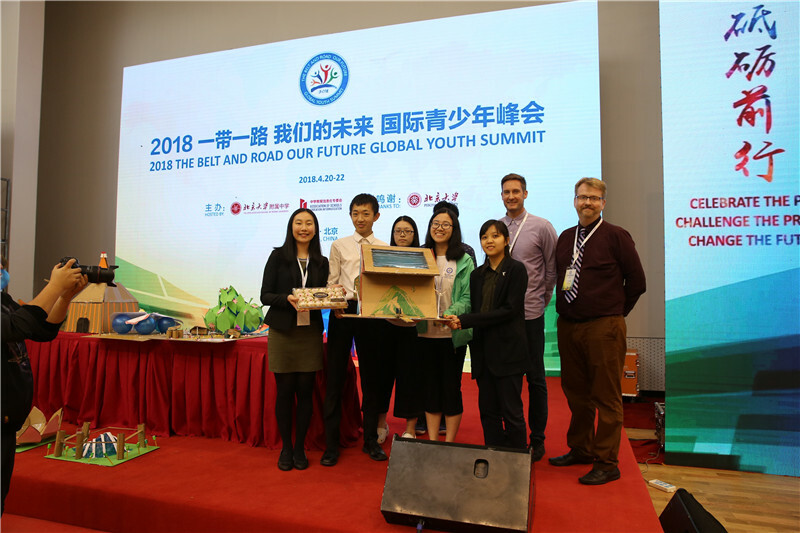 From Friday 20 to Sunday 22 April, a team of seven Year 11 to 13 students from Dulwich College Beijing attended the 2018 One Belt, One Road, Our Future Global Youth Summit. 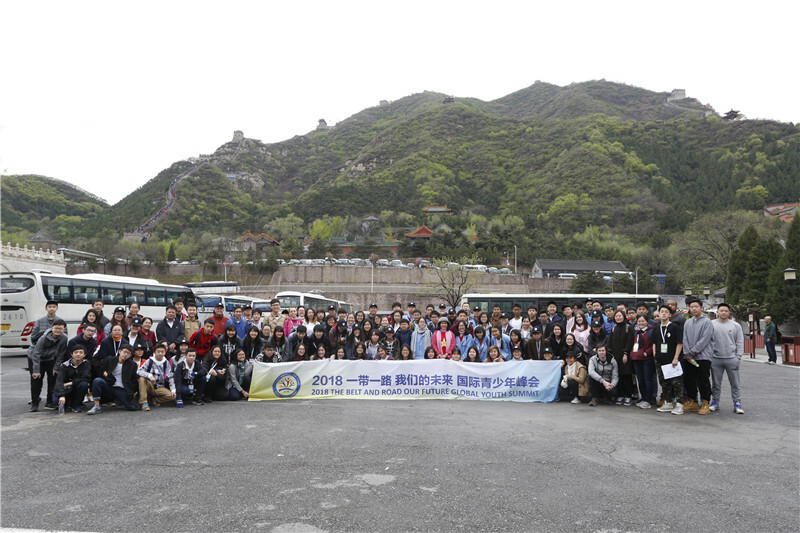 This event was hosted by students from Dalton Academy, part of The Affiliated High School of Peking University. Delegates from Beijing schools were joined by those from Singapore, Thailand, Malaysia, Myanmar, Laos, Japan and Vietnam. 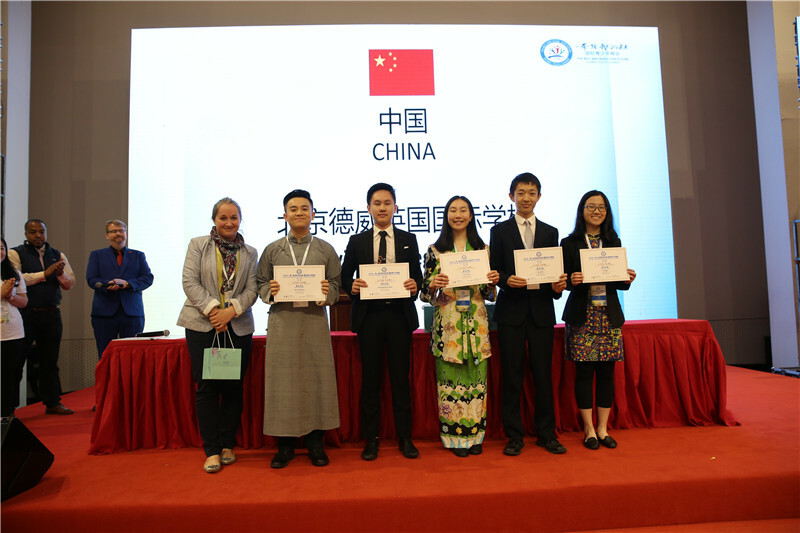 The aim of the summit was to promote discussion around the One Belt, One Road Initiative and foster a productive youth dialogue among the students involved. The Dulwich delegation gave two impressive presentations, and received praise from organisers and fellow participants both for their in-depth analysis and professional delivery. They also excelled at a simulated investment analysis task and a creative engineering project. Their impressive use of materials to design a stadium reflecting the culture of Nepal, shaped as the Nepalese flag, gave them a well-deserved second place from the judging panel. In addition to taking part in seminars analysing the One Belt, One Road Initiative, several off campus trips were undertaken. We visited the Olympic Park, Great Wall and Peking University, where a lecture by the International Relations team gave everyone much to ponder. A real highlight of the event was a talk by a representative from the Bill and Melinda Gates Foundation, a global charity. The students were overwhelmed by the welcome they received from the staff and students of Dalton Academy, and it was wonderful to witness the growing connection between the student representatives from all the schools involved as the conference progressed. Their interaction and shared experience was, for me, the most memorable and rewarding element of this event. The level of involvement, leadership skills, resilience and professionalism demonstrated by the students was truly an inspiration. Everyone commented on their positive, friendly and collaborative interactions with other delegates. Many thanks to Christopher C, Emily L, Hannah H, Jackel C, Kevin Y, Luzette M and Yi Wen L for your commitment to this event; it was a privilege to watch you in action.